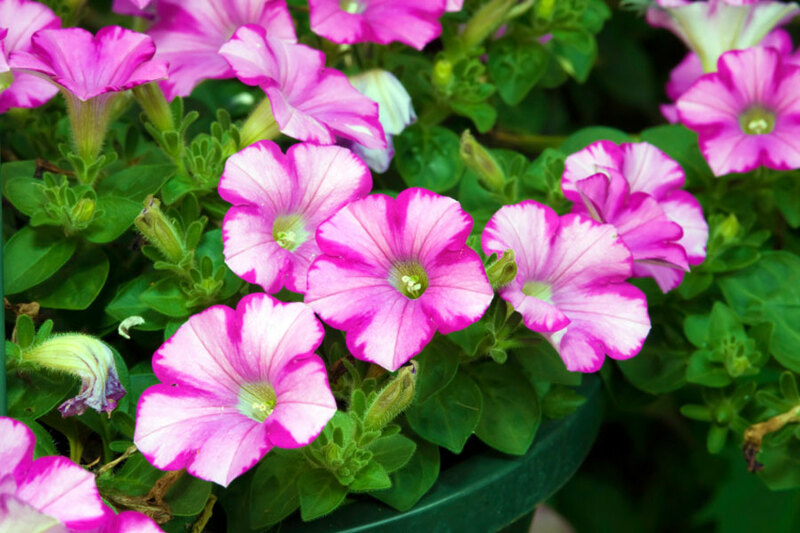 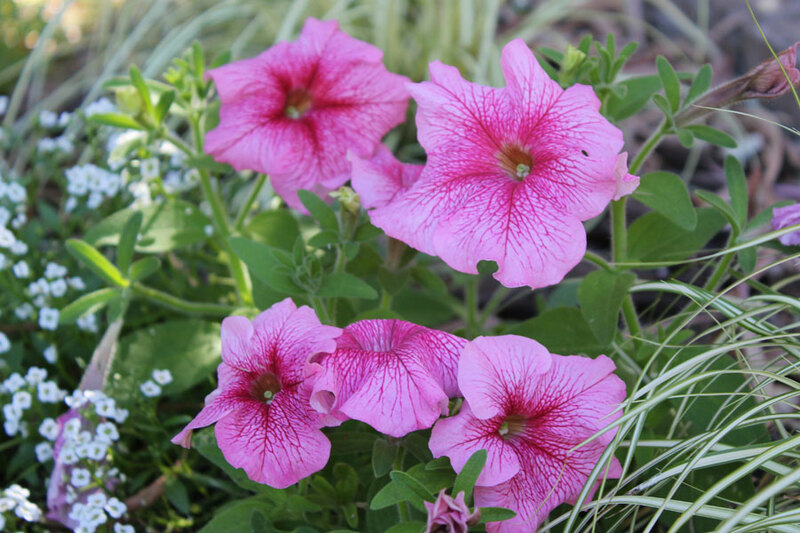 Other notes: Petunia is a widely-cultivated genus of flowering plants of South American origin, closely related with tobacco, cape gooseberries, tomatoes, potatoes and chili peppers; in the family Solanaceae. 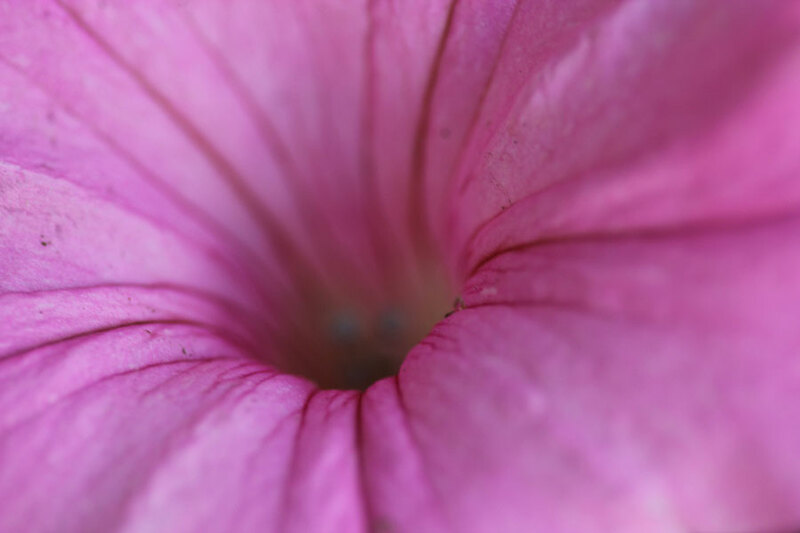 The popular flower derived its name from French, which took the word petun, meaning “tobacco,” from a Tupi-Guarani language. Most of the varieties seen in gardens are hybrids. There are literally hundreds of named petunia varieties. 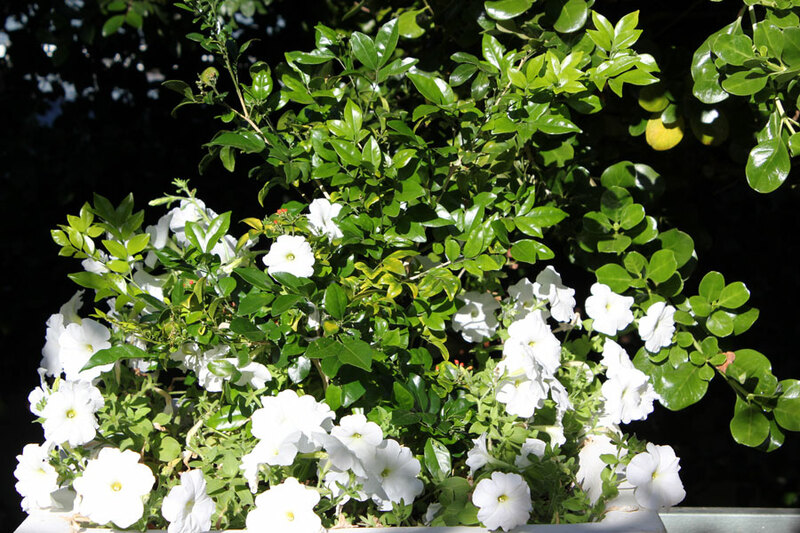 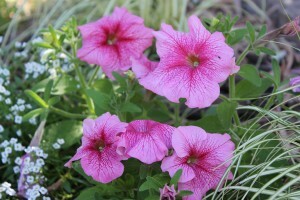 They fall into four distinct categories, based on flower size and growth habit. 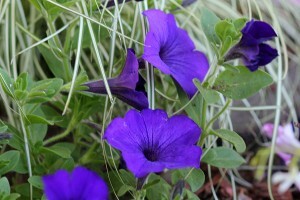 Some are more suited to container growing, while others are better for massing in the garden. 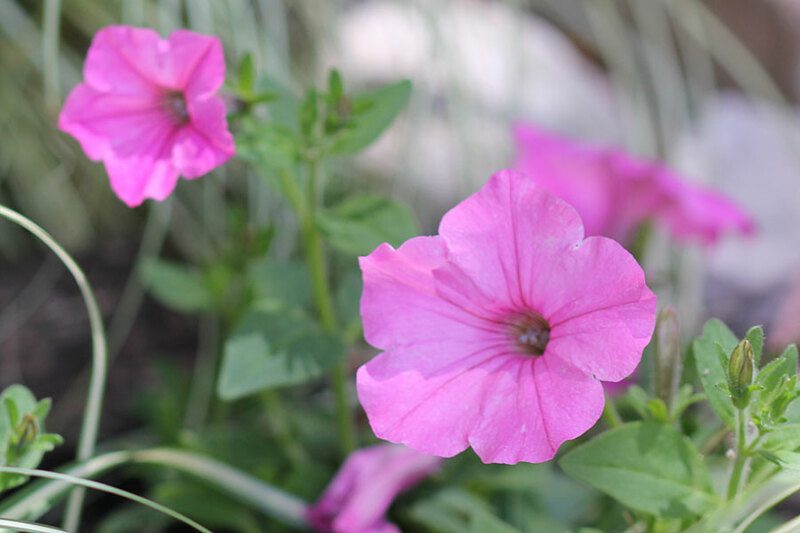 My Experiences with Petunias: I planted petunias in my garden this summer and have been well rewarded with lots of colour. 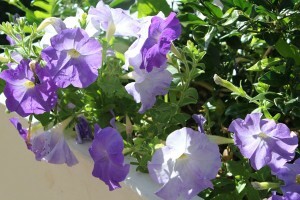 But they need lots of sun. 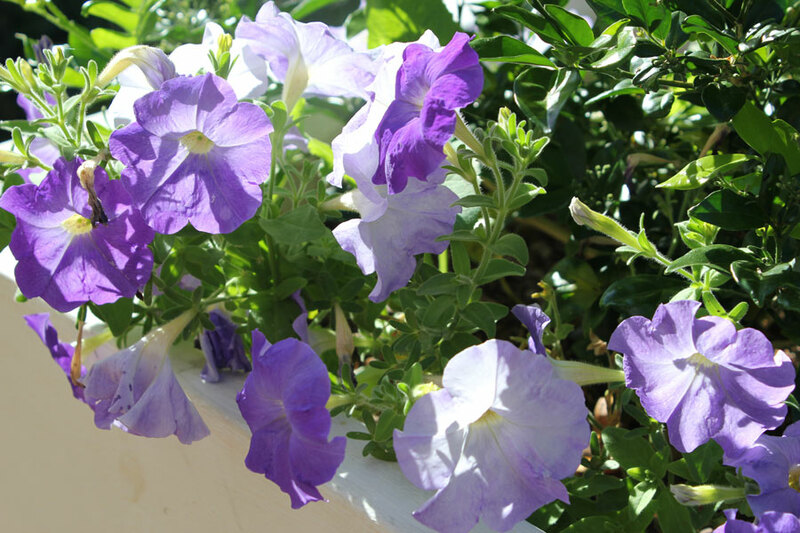 The Petunias I planted in my pots that get lots of sun and are not on the automated watering system have done wonderfully. 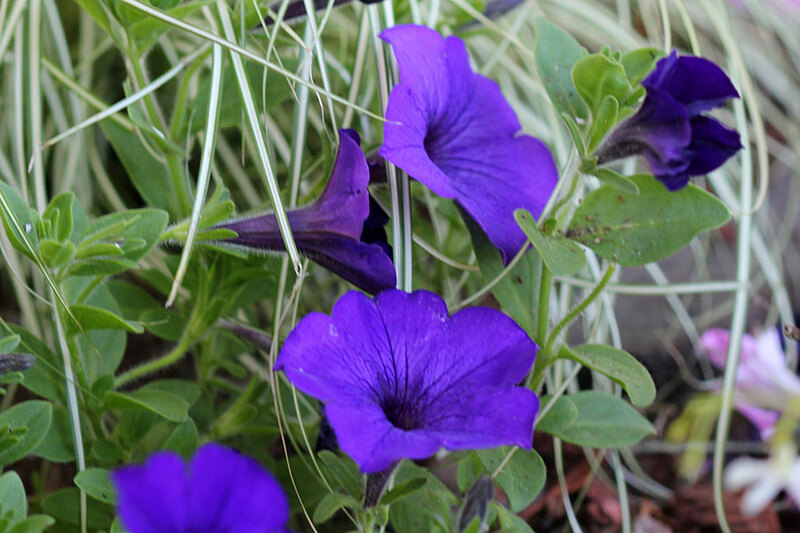 I get lots of pleasure from them – a profusion of white and purples every time I walk past the patio area or when we sit out there – just lovely. In the front garden they get half day shade and although they are pretty, they haven’t done as well. 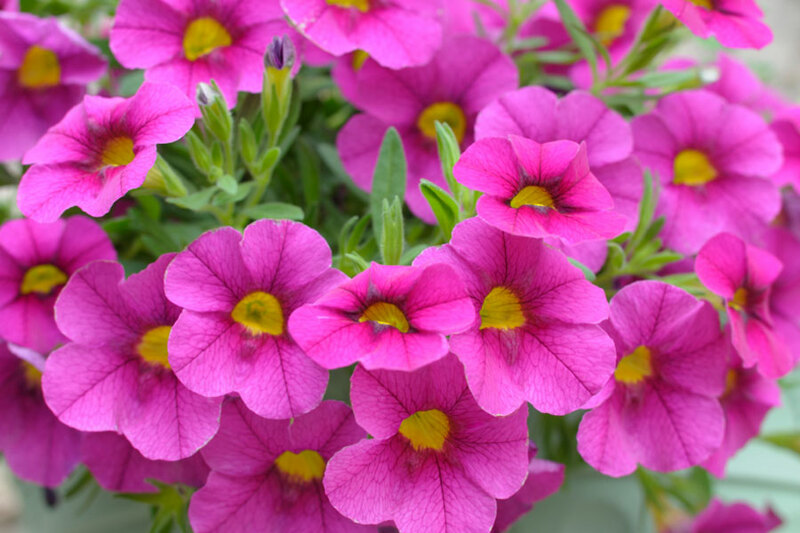 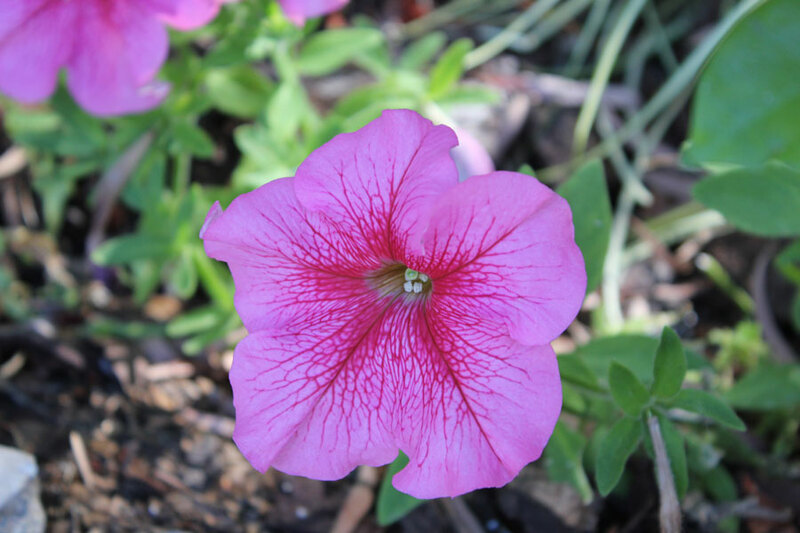 I deadheaded often and they got “leggy”, so whilst the look great from far, when you get up close they are not “perfect petunia plants” like I see in all the photos and in other gardens. 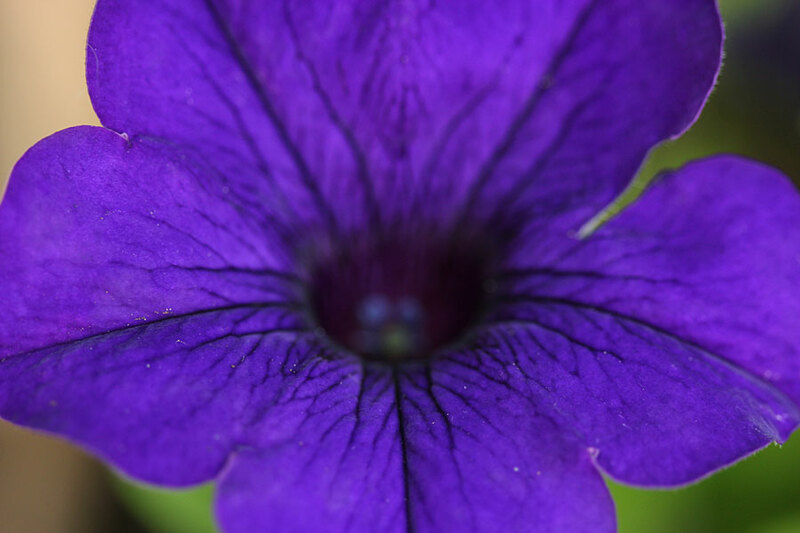 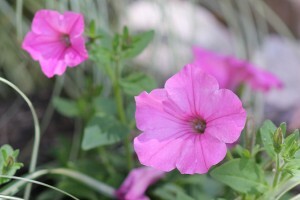 I mentioned Petunias in blog articles here.